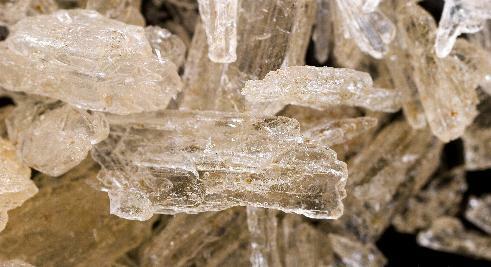 Noticeable Crystal Meth symptoms may result from use, abuse, addiction, withdrawal, and overdose. As a powerful stimulant, Crystal Meth use, even in small doses, can increase wakefulness and physical activity and decrease appetite. Long-term Crystal Meth abuse results in many damaging effects and symptoms, including addiction. Addiction is a very serious problem that develops over time. It is characterized by compulsive drug-seeking and drug use. It is also accompanied by functional and molecular changes in the brain. In addition to being addicted to crystal meth, chronic methamphetamine abusers exhibit symptoms that can include violent behavior, anxiety, confusion, and insomnia. They also can display a number of psychotic features, including paranoia, auditory hallucinations, mood disturbances, and delusions (for example, the sensation of insects creeping on the skin, called "formication"). The paranoia can result in homicidal as well as suicidal thoughts. Crystal Meth can cause a variety of cardiovascular problems. These include rapid heart rate, irregular heartbeat, increased blood pressure, and irreversible, stroke-producing damage to small blood vessels in the brain. Hyperthermia (elevated body temperature) and convulsions occur with crystal meth overdoses, and if not treated immediately, can result in death. When an addict stops using meth, they experience Crystal Meth symptoms of withdrawal. These include depression, anxiety, fatigue, paranoia, aggression, and an intense craving for the drug. Meth abuse has spread out of the urban cities and is now a serious problem in small-town America. Current estimates state that 12-14 year olds living in small towns are 104% more likely to use meth than those who live in larger cities.